South Wales Scorpions have confirmed the signing of former Celtic Crusaders prop Jamie I’Anson. The former Leeds Rhinos academy product has also played for Featherstone Rovers, and has also competed in the Mixed Martial Arts environment in recent years. The 29-year-old is in line to turn out for the Scorpions’ reserves ob Wednesday against the Parachute Regiment’s rugby league side at Caerphilly RFC. 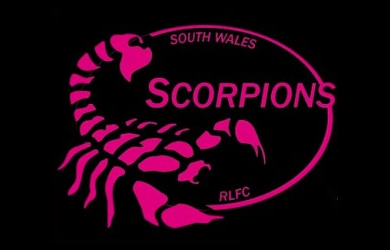 “All things going well in the reserve team game in Caerphilly this Wednesday, Jamie will feature against North Wales Crusaders next Saturday,” said Scorpions coach Phil Carleton. “He’s a tough bloke, he left rugby league to do MMA but he’s back now and he’s been playing a high level of the community game in the north, turning out for Milford Marlins.